Redtrust is the patented market leading solution used by hundreds of companies across sectors including banking, insurance, infrastructures and health. 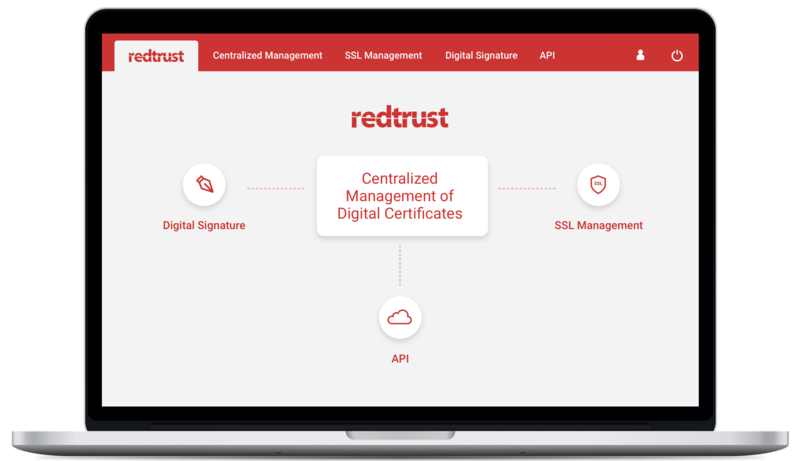 Redtrust is a self-contained solution that offers secure, controlled and centralized use of Digital Certificates to businesses. By doing so, helping to eliminate lengthy and costly processes along the way. Hosted on-premise, certificates are stored and managed in a central server featuring HSM grade security. Readily available to be hosted, used, and controlled from your own virtual server infrastructure. Digital certificates are stored and managed from our secure cloud including all the appliance advantage. Each day companies put their trust in us to help take control and manage their digital certificates in a transparent, secure and effortless way. 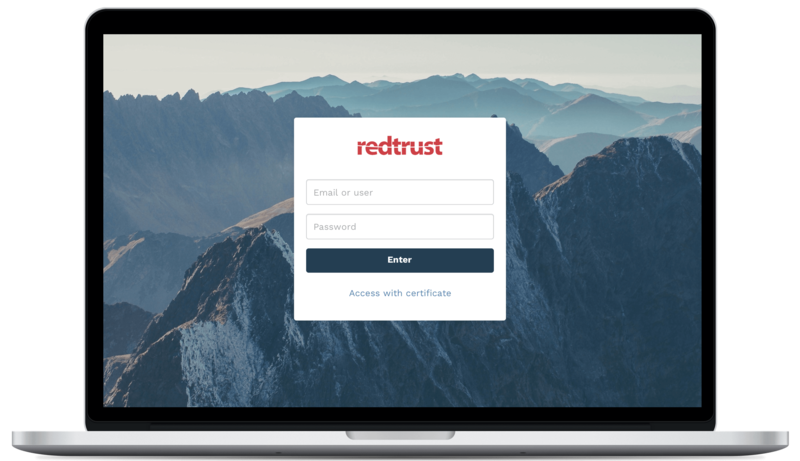 Redtrust, in its cloud version, is a solution that any company (including any individual) should have, it eliminates the complexity of distributing and using digital certificates and adds comprehensive control over what users can do with them. With Redtrust a certificate is only installed once and in one place and can be accessed by as many users as required. Stay updated and receive the latest news, best practices, guides and case studies in your email inbox. Simply subscribe today.